“No hardware without software’ was the main theme of Texprocess 2015. 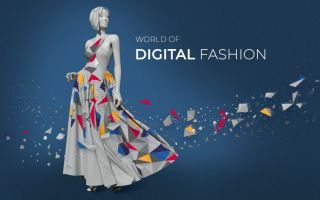 More and more companies are banking on modern IT solutions with 3D visualisation to adapt their designs, sewing and cutting technologies to individual customer requirements. Gerber was one of the first to introduce CAD Pattern Making Software for the apparel industry. Today, AccuMark CAD systems are used by more than 15,000 customers, including many of the world’s leading fashion brands. 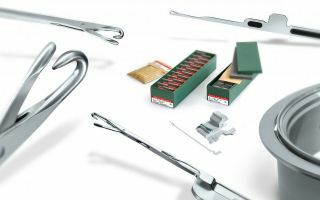 Gerber has a history of bringing forward innovations and technologies that optimize customers’ design and manufacturing processes. 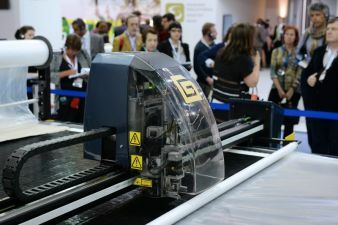 Gerber has launched technologies that have become the benchmarks for CAD pattern making, grading planning and marker making software, and automated spreading and cutting machines. AccuMark 10 automates the entire production process while providing significant advances in quality control, communication and efficiency. The system helps manufacturers reduce raw material and labor costs, and generate fewer samples and prototypes. 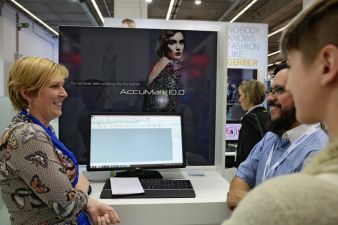 Users will find that AccuMark 10 is easy to use, improves collaboration and helps to automate every day tasks in pattern design, grading, marker making and production planning. Pattern Design: Artwork images that represent fabric textures, appliques, logos, trims and other visual details can now be added to patterns in PDS. This enables the ability to provide partners with visual instructions for pattern placement. Pleats can now be edited, deleted and folded, and the patterns can be modified while the pleats are folded, providing major productivity improvements. Grading: Allowing users to create Points of Measurement between pattern and chart, provide pattern details to production. 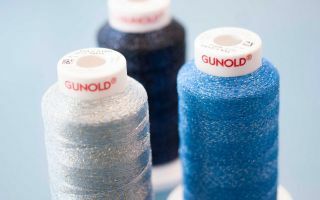 With automatic grading updates, intelligent calculations and pre-set size tables, users are able to make pattern changes on the fly and create made-to-measure garments from basic sizes. Marker Making: AccuMark 10 simplifies the marker ordering process while offering the capability of such advanced technologies as generating digital printing files directly. Production Planning: Work orders can be imported from ERP systems and automatically planned, nested, plotted, and have reports and cut data generated without human interaction. This ability greatly increases productivity and reduces human error.